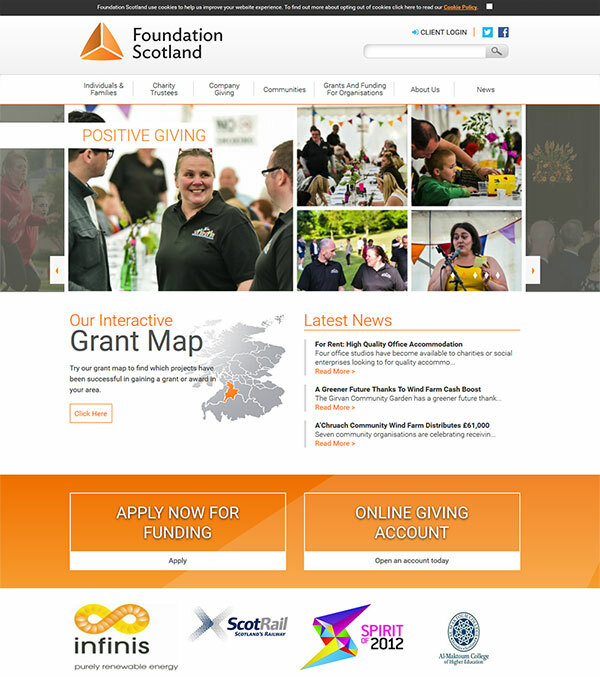 Concept were first approached by Foundation Scotland to host their website, but over time our relationship changed and they wanted us to be more heavily involved with the workings and design of their website. 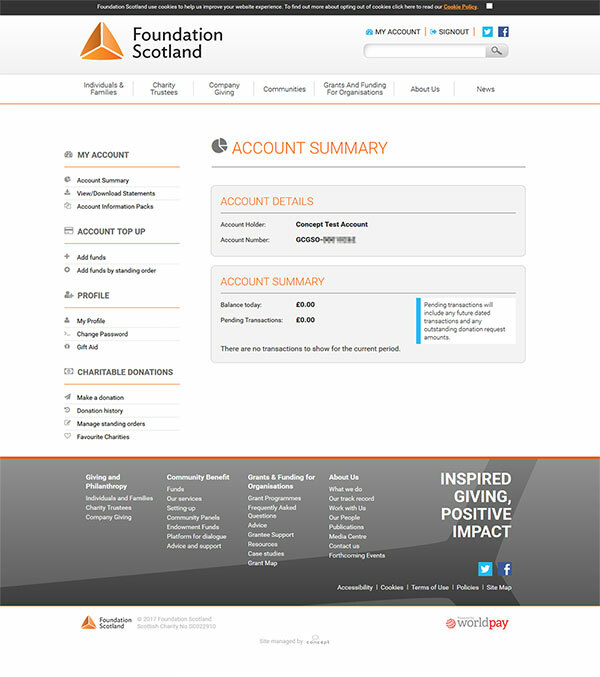 Concept are responsible for redesigning their homepage as well as giving the rest of the website a clean-up with a more modern look. 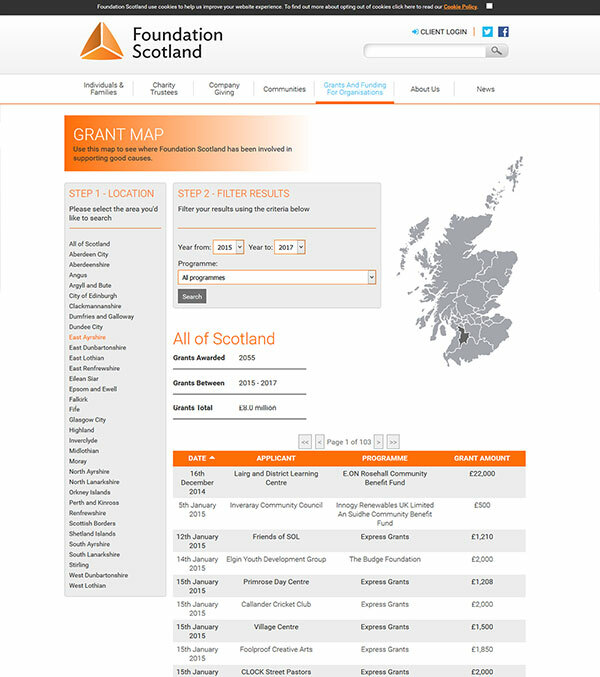 Additional development was performed in the form of a dynamic Grant Map which provides donation figures supplied via Salesforce and an Online Giving Account area where philanthrapists can ealily maintain their donations and funds.